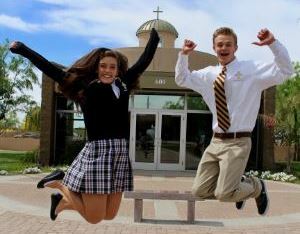 Campus life at Notre Dame Preparatory is awesome! Whether inside or outside the classroom, NDP students enjoy spending time with their friends and the faculty and staff. Student activities, clubs, athletics and artistic performances are just a few of the ways our students enjoy themselves. Spontaneous treats, games and other activities make for a great campus life at NDP.